The information age has brought greater interconnection across the world, and transformed the global marketplace. To remain competitive, business firms look for ways of improving their ability to gauge business and economic conditions around the world. At the same time, advances in technology have revolutionized the way we process information and prepare business and economic forecasts. Secondary data searches, data collection, data entry and analysis, graphical visualization, and reporting can all be accomplished with the help of computers that provide access to information not previously available. Forecasters should therefore learn the techniques and models involved, as applied in this new era. 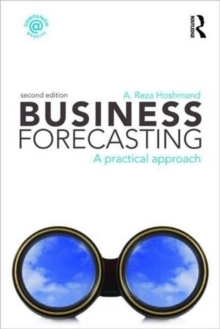 Business Forecasting: A Practical Approach is intended as an applied text for students and practitioners of forecasting who have some background in economics and statistics. The presentation is conceptual in nature with emphasis on rationale, application, and interpretation of the most commonly used forecasting techniques. The goal of this book is to provide students and managers with an overview of a broad range of techniques and an understanding of the strengths and weaknesses of each approach. It is based on the assumption that forecasting skills are best developed and retained by starting with simple models, followed by repeated exposure to real world examples. The book makes extensive use of international examples to amplify concepts.